Australian Olympian Ben St Lawrence won Sydney’s biggest road race for the second time Sunday as almost 80,000 people, including many in fancy dress, took part in the annual run. 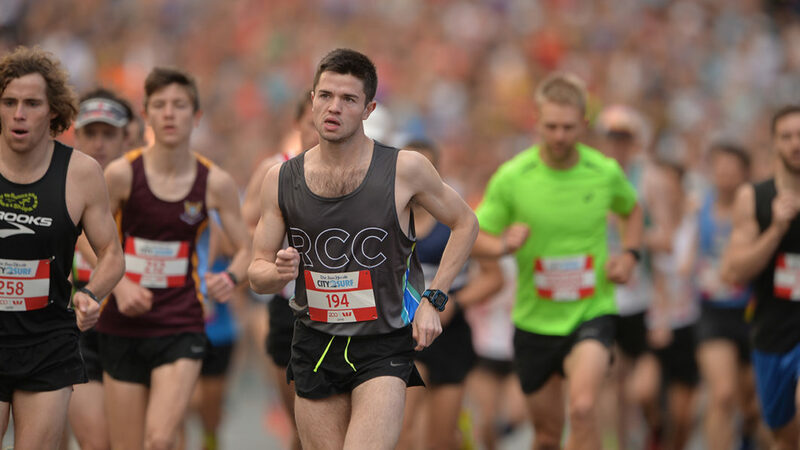 One of the world’s biggest fun runs, the 14-kilometre (8.7 mile) City2Surf race from Sydney city to Bondi beach attracts serious competitors and as well as entrants in superhero and animal costumes. In its 48th year, the event is a major fundraiser for Australian charities and has so far raised almost Aus$4.2 million (US$3.1 million) for more than 1,000 organisations. St Lawrence, a 36-year-old dual Olympian who won the City2Surf in 2010, sprinted the last few metres of the run to win in 41min 42sec. Australian Ellie Pashley, 29, was the first woman to cross the line in 46min 21sec. Some of the runners took part dressed as gorillas, Superman and wrestlers, with one participant even completing the race wearing nothing but his bib number as a loincloth with a plastic bum to cover his buttocks.